Scanned by me from the book "Hisaishi Hirai Illustration Works". OMG, Athrun is so cute! Athrun is amazing, thanks for sharing! ::favs:: I do love the way he looks in this scan. Athrun is cute here! Thanks for the scan! He looks so lonely, doesn't he? 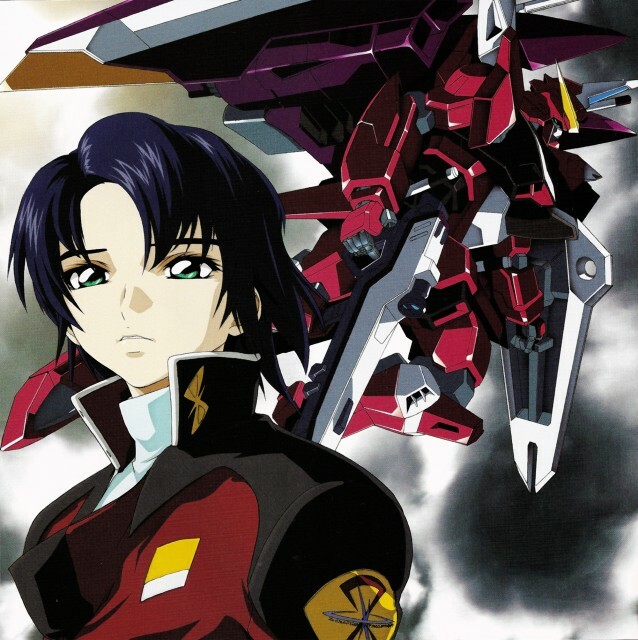 I think this is the cover image for Suit CD Vol 5 - the Athrun x Yzak x Dearka Character Album. Great music, by the way. Beautiful scan, thank you...that is a really great book. Athrun looks gorgeous, even when he emos XD Sankyuu for sharing! That's a great pic of Athrun and Justice. whoa look at his eyes..so gentle..
Athrun Zala and his ZGMF-X09A Justice Gundam!